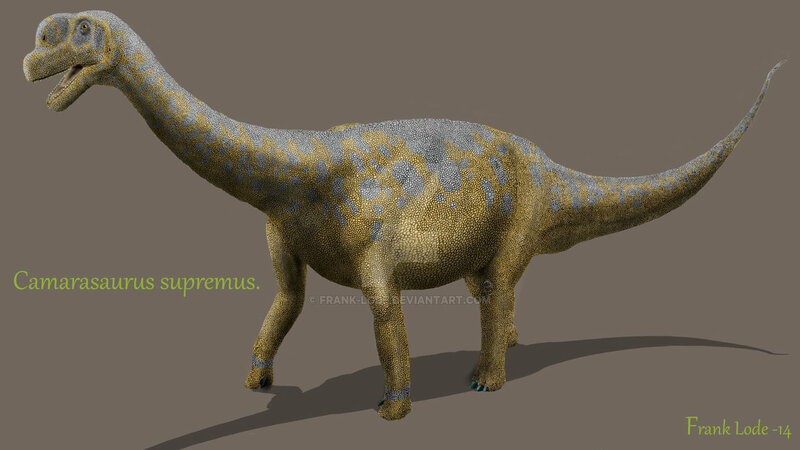 Camarasaurus is a dinosaur which lived approximately 150 million years ago during the late Jurassic Period. 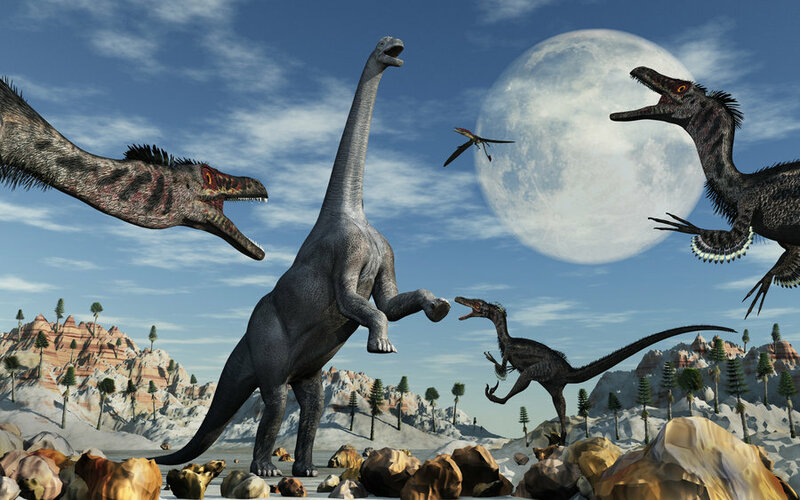 It was first discovered in 1877 by Oramel W. Lucas when he brought 5 wagon loads of dinosaur bones down from the Morrison Formation in Colorado. 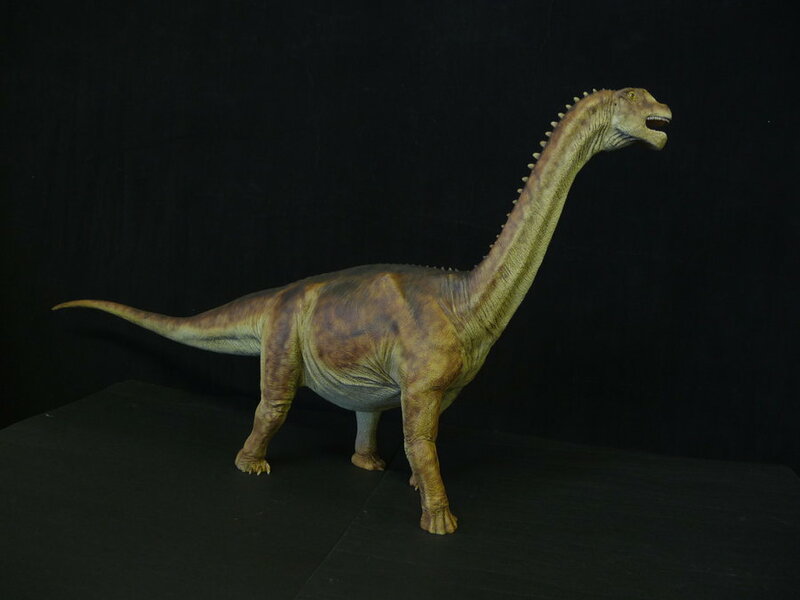 Later that year, the bones were purchased by paleontologist Edward Drinker Cope, who named the fossils Camarasaurus—a name which means “chambered lizard.” So named because the dinosaur had hollow chambers in its vertebrae. 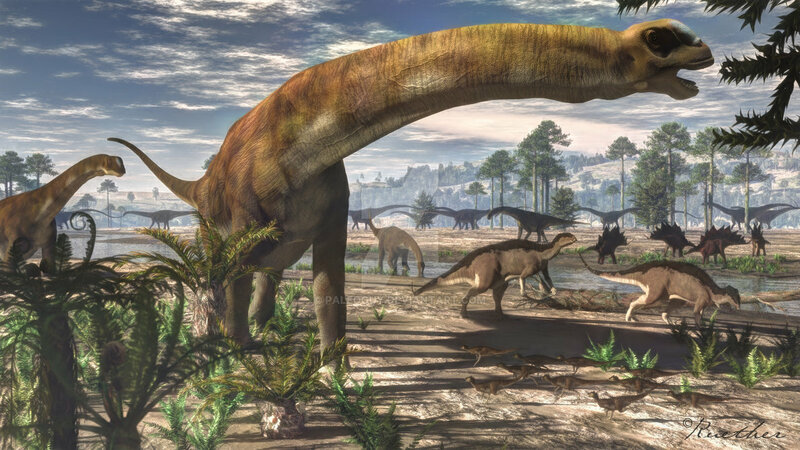 Camarasaurus is a quadrupedal dinosaur which, depending on the individual species, was anywhere from 24 to 64 feet in length, 15 feet tall at the hips and weighed around 20 tons. 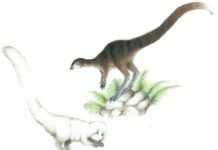 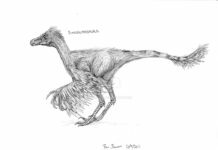 It was an herbivore that had an extremely long neck that may have allowed it to graze from the tops of trees—if it was capable of raising its head that high. 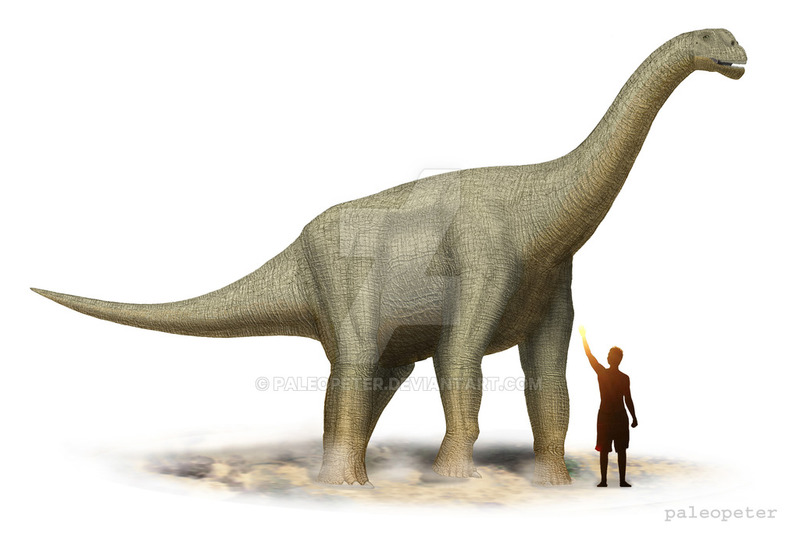 Some paleontologist have speculated that it would have been impossible for this dinosaur to have raised its head that high because it would have put too much pressure on its heart. 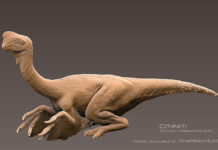 Other paleontologist disagree with this assertion, stating that even if it couldn’t raise its head that high it could still rear up on its hind legs to reach the tops of trees. 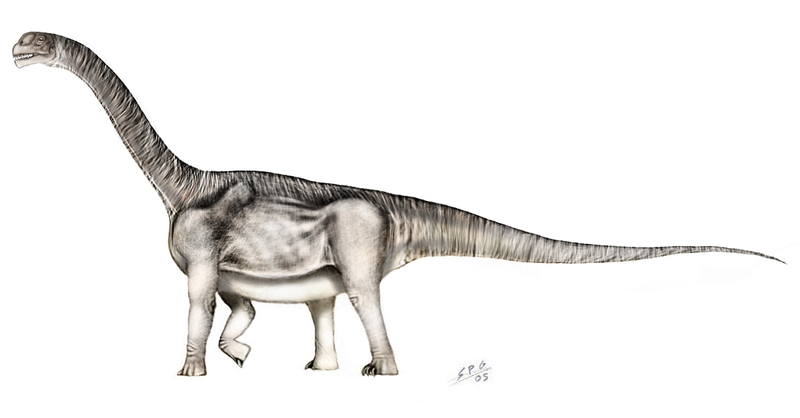 One interesting fact about Camarasaurus that is agreed upon by most paleontologist however, is that this dinosaur probably ate stones to aid in digesting plant material. 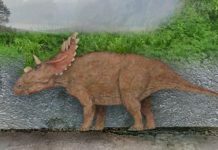 These stones—known as gastroliths—would have helped this dinosaur grind plant material down in its stomach. 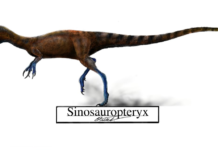 It would keep these stones in its stomach until they became too smooth to be of use, and then the dinosaur would either poop them out or regurgitate them. 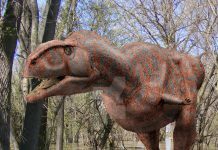 They would then have to swallow more stones as a replacement.